American industry, by nature, is grounded in innovation—a melting pot of cultures and ideas, fostering a drive towards the new, the improved and the next big thing. In the news and on social media, we see the advent of these innovative ideas, which eventually show up in our day-to-day activities, changing the ways we live and work. With powerhouses like Facebook, Amazon, Alphabet, Netflix and Google upending established industries such as retail and entertainment, as well as investing rapidly into next wave technologies such as artificial intelligence and mixed realities, the drive toward innovation will only continue to accelerate. But what can we learn from the past as we move into the future? In the 20th century, few ideas were more innovative than the Model T, also known as the ‘Tin Lizzie’: accessible, affordable and practical transportation for the everyday man, a new concept conceived by Henry Ford and built by the Ford Motor Company. “I will build a car for the great multitude,” Ford said, and sure enough, the ‘Tin Lizzie’ changed the face of American transportation, remaining a powerful example of American entrepreneurship and innovative thinking to this day. The manufacturing production of the ‘Tin Lizzie’ was hastened by the first moving assembly lines in the United States, installed in 1913, which reduced the time it took to construct an automobile from over twelve hours to only two hours, thirty minutes. Now, these concepts were not introduced without a share of controversy. Many, including the New York Times in 1954, opined that Ford’s drive was not to pioneer, but to commercialize, that his assembly lines were meant to cut costs to the bone while maintaining operational efficiency. Despite these criticisms, Ford’s vision was to change the trajectory of transportation and industry, without compromise; he said himself, “if I had asked people what they wanted, they would have said a faster horse.” There can be no question that Ford thought and built big by inventing a new and radical vehicle production system, democratizing automobiles in the United States—and across the world. Today, the auto industry sits at its next major inflection point, with the promise of new technologies, mobility services and autonomous vehicles, which are poised to shape the future. In applying the principles of 20th century American innovation to today, it is of paramount importance that we consider how to thoughtfully communicate these big ideas to the world. While there is no doubt that ingenuity and engineering prowess are largely responsible for Tesla’s successes, Musk carefully has matched his Master Plan with correspondingly masterful communications. 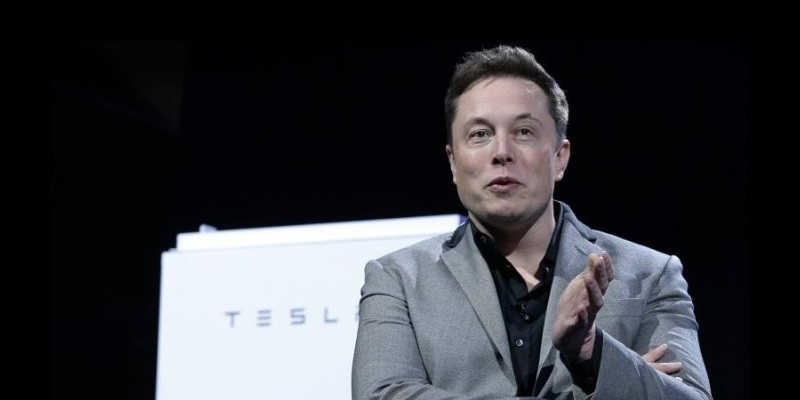 Recent challenges in Tesla’s execution only further emphasize the importance of visionary communications, which can help a company to gain loyalty and a following to overcome bumps in the road. In the eternal words of former Ford Motor Company executive, Lee Iacocca: “You can have brilliant ideas, but if you can’t get them across, your ideas won’t get you anywhere.” Big ideas are the cornerstones of innovation. Companies must think ahead, building on the successes of the past while using today’s progressive tools to communicate more effectively. To help companies develop a balanced approach to communicating big ideas, Makovsky Integrated Communications has married its award-winning public relations prowess with our innovation lab SKYLABS’ development expertise, to launch the agency world’s first Innovation Relations™ capability. This revolutionary approach has taken the way innovative new businesses and products are developed and applied it to crafting the message, story and experience, leveraging design-thinking workshops and rapid-prototyping to invigorate corporate innovation communications program. We partner with emerging and established companies, such as Virgin and PepsiCo, to build their reputation as innovation leaders – a mission that is as important to company’s survival and longevity as innovation itself. We believe that by recognizing the value of telling your innovation story and applying the innovation development process to marketing and communications functions, we can help our partners create a new standard in communicating their ‘Tin Lizzie’ story.